Conzumr brings to you the list of all Epson India's L Series top performing best selling printers in 2017. 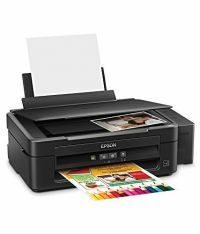 You can compare the printer prices, specifications and check prices from almost all the popular online stores in India. These printers have a Sleek Space-saving Design with unsurpassed print quality, one touch scan, copy, superb print speed..
All the above models posses different features and qualities. 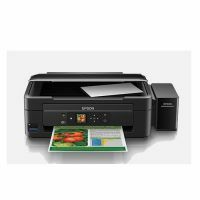 So with the help of this side by side comparison you can easily choose the printer that best suits your needs and budget. You can also see the specs description by expanding the tip of specification. 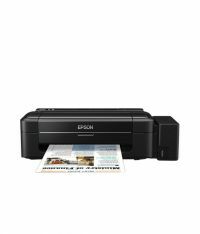 You can see list of our Epson India's Best Printers - L220 vs L350 vs L360 vs L365 vs L455 below, perform Side-by-Side comparison. If you need further help, do have a look at Conzumr Guides and Tips. Alternatively you can view all Printer and Scanner to choose your own favourites. 8.5 x 44" L350 : 8.5 x 44"
To Recieve updates and possible rewards for Epson L455 please sign in. To Recieve updates and possible rewards for Printer and Scanner please sign in.